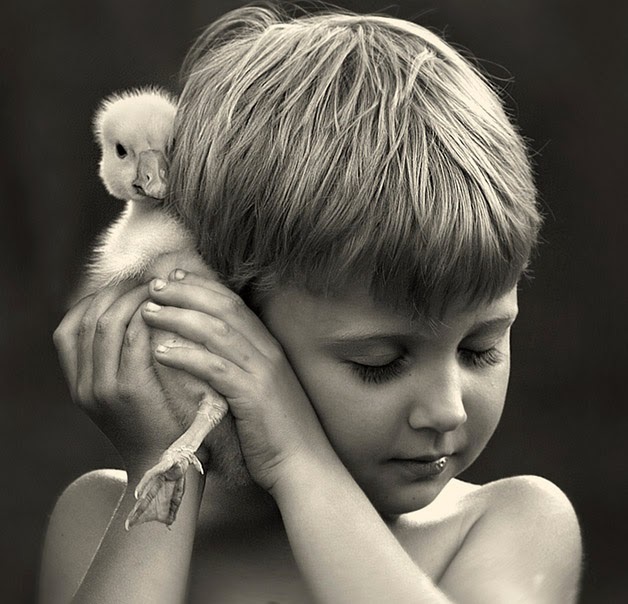 With a sensitive eye, Elena Shumilova of Andreapol in Russia captures images that show the essence of raising her children with the animals on a farm where they spend most of their time. 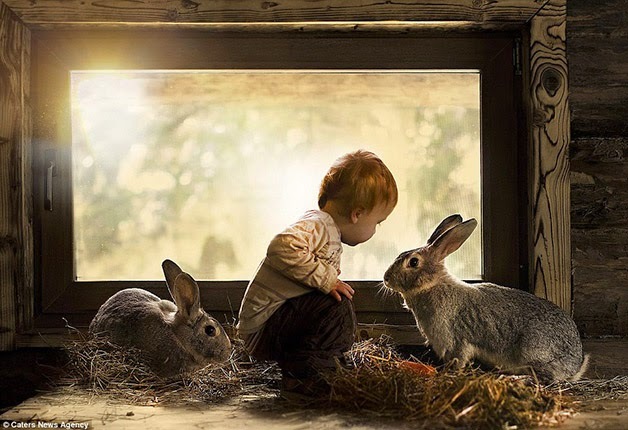 It all started in 2012 when she won a professional camera and began to record their children Yaroslav and Vanya playing with farm animals. 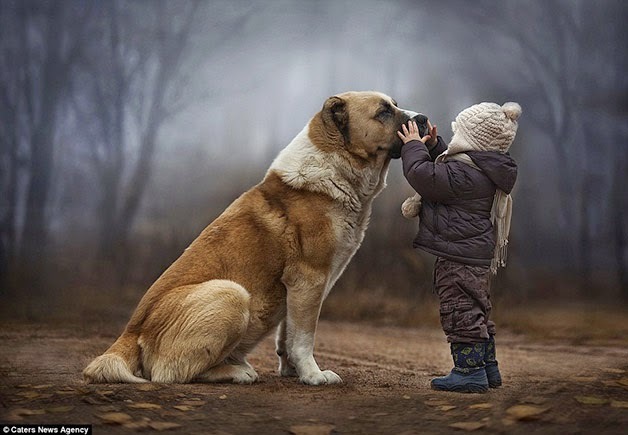 The combination of children and animals, and even a beautiful landscape in the background result in beautiful images that show love and sensitivity.